The private data, gathered within the COFRAN internet website, are mandatory and can be processed informatically for their management and in order to achieve its purpose. Unless they oppose to it, the physical persons having communicated their private data, within the present frame, expressly accept the processing by FUCHS LUBRIFIANT FRANCE of their private data and their communication to third parties, including sister companies of the FUCHS Group, its partners, sub-contractors and service suppliers, or in order to comply to legal and reglementary obligations. In conformity with the European Union legislation regarding private data protection, these persons have an access and communication opposition and data correction right of these data by writing to the adress FUCHS LUBRIFIANT FRANCE – Division COFRAN – 1, rue Lavoisier, CS 60143, 92023 Nanterre Cedex. 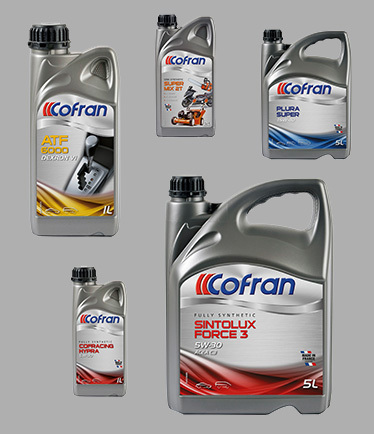 COFRAN introduces its new oil chooser. 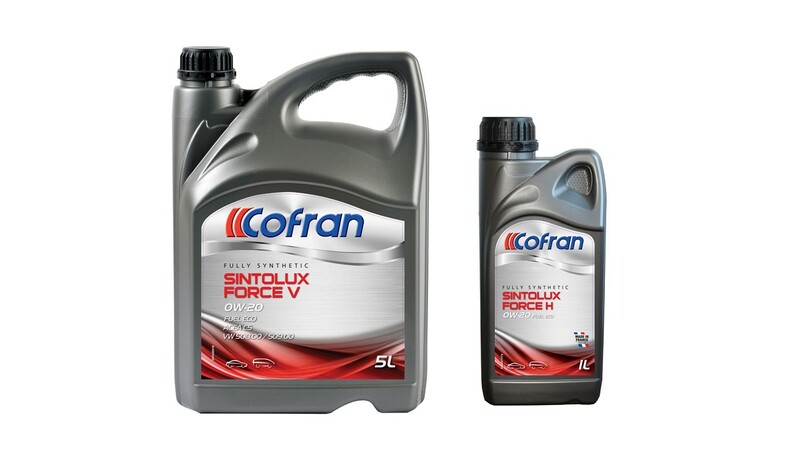 For Passenger cars, Light commercial vehicles and Heavy vehicles, the right COFRAN product can be identified by selecting the vehicle needing the oil. 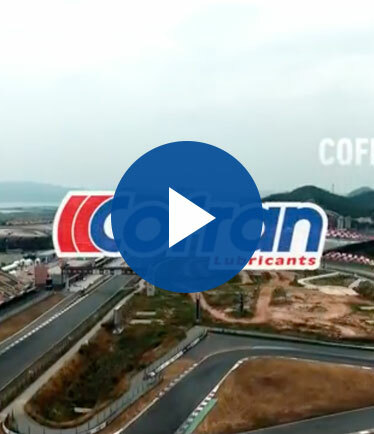 Since 2017, COFRAN is sponsoring the Oil & Click Racing team in various competitions in South Korea. The Oil & Click Racing team is using the Top Premium COFRACING TURBO STAR 5W-50 for its cars. 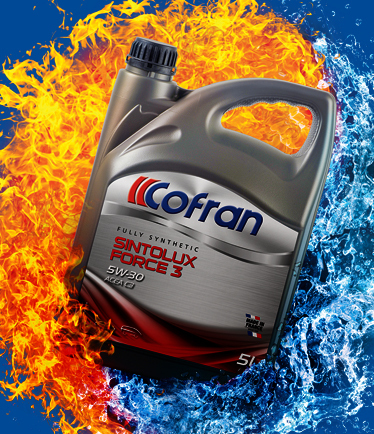 This engine oil containing a high percentage of PAO & Ester base oils offer superior performance for the lubrication of engines working in the extreme conditions of racing. In 2018, COFRAN has increased its investment on the Automechanika Frankfurt show with a booth twice bigger than in 2016. 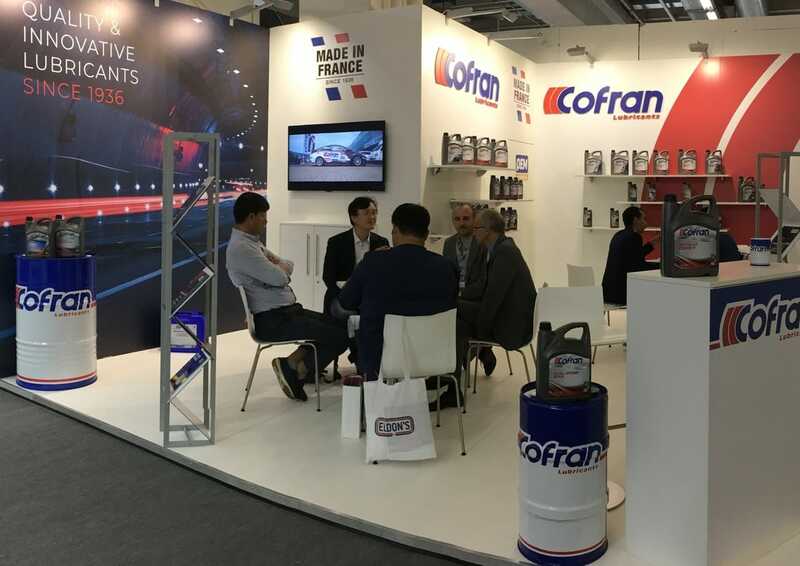 After participating to Automechanika Shanghai / Dubai / Istanbul, COFRAN continues to boost the promotion of the brand to increase its brand awareness and find new distributors. The show was also the opportunity to meet existing distributors & to present new products. The complete range of COFRAN cans labels has undergone a facelift in order to improve the attractiveness and help push sales. 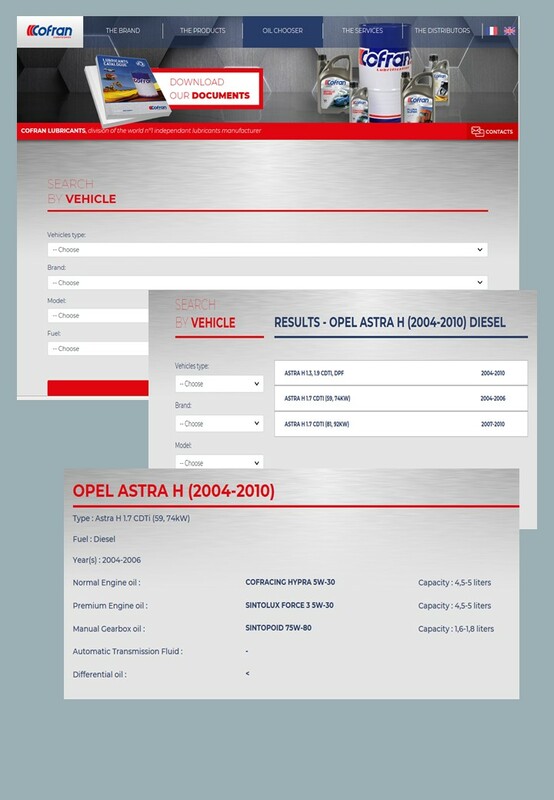 For the 1st time, some labels of specific products (Racing Engine oils, Transmissions oils, 2 stroke oils, Coolants...) integrate specific attractive visual elements.